I see multiple prayer requests on social media. I pray for healing of loved ones I’ll never meet, and sometimes I wonder if my responses matter. I mostly blog about goats, chickens and farm life because that’s normal. It’s controllable and goats make me happy. Recently, I sat in a hospital chapel, surrounded by a comforting silence and at a complete loss of words to pray. I cried, I sobbed, and yet words for a prayer did not form into cohesive sentences. 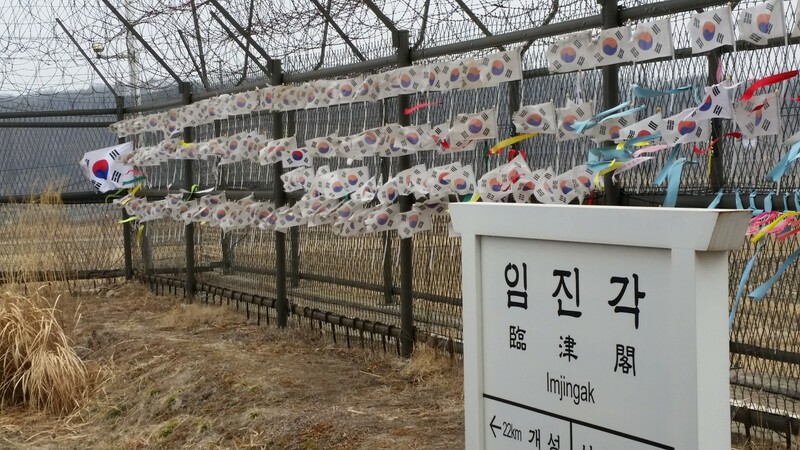 It reminded me of the thousands of ribbons tied to the Freedom Bridge fence at the DMZ in South Korea at Imjingak. I could not read the prayers in Korean, I knew they represented a person. The ribbons in the chapel also reminded me of the memorabilia tied to the security fence at the Oklahoma City memorial site. I took comfort in knowing that my support network is strong. It struck me that those sands were like the ribbons at the Freedom Bridge: ways that people reached out in a time of uncertainty to find comfort. To some, the sands were just colored rocks, but to others, they represented a way to reach out and have a tangible link to others who needed to know that they were not alone. In the moment, the sand was a visible reminder of the interconnectedness we have with each other, even when we are guarding our hearts. You just made me tear up….this is beautiful!